Horseshoe tattoo is a well-known symbol in all over the world. It’s a universal symbol of good luck, which people have been using since the olden days. It’s a very classy choice for those who don’t like the modern tattoos. Also, it usually goes with other elements like flowers or words. If you’re thinking about getting a tattoo of a horseshoe – take a look at our selection of ideas below. 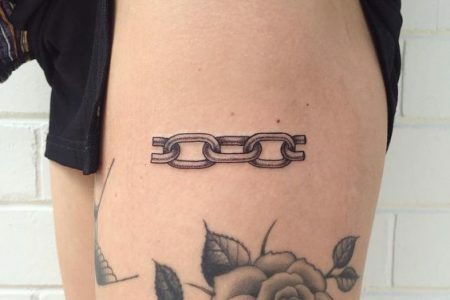 What is the meaning of horseshoe tattoo? Since the ancient times, people used horseshoe as a symbol of luck. For example, it was a good sign to find it on the road and then hung it over the door. Even today, you can see some houses with the horseshoe on the door, and this is an excellent example of what impact the symbols have on us. The oldest horseshoe ever found dates back to 400 B.C. So, we know that it has an ancient history. However, like with most of the symbols, we don’t know the origin of horseshoe meaning. Maybe someone just picked it up, and then the luck came to that person? Well, one thing for sure – that guy inspired many generations to look for the horseshoe on the roads. But did you know, that it can have both a positive and negative meaning? Yup, that’s right – a horseshoe will symbolize good luck only if it’s pointing upwards. Meanwhile, if you hang it downwards, the luck will go away to the people around it, but not to you. And so this beautiful tradition continues today. But instead of hanging it on the door, many people decide to get it on their body and carry the luck for the rest of their lives. So, a horseshoe tattoo is a symbol of luck. It also embodies wealth, happiness and success. It is a perfect idea for both men and women. It is a trendy design because it is simple and can fit almost anywhere on the body. And above all – it doesn’t need any fancy coloring or style. It can be a plain, black horseshoe and it will look beautiful. The most common body parts for a horseshoe are forearms, shoulder blades, back, chest, and thigh. For tiny tattoos – feet, wrist, neck or ankle. Take a look at our fine selection of horseshoe tattoos. We hope you will find a perfect idea!